Go see this business by selecting the link to the left "Want Name/Address." San Diego restaurant, long established on super busy major thoroughfare. Restaurant was established in 2007 and has undergone very nice renovations and upgrades over the past two years. Located on a corner end-cap with plenty of parking. The restaurant is long established in the right neighborhood. They are right in the middle of Point Loma with the outstanding demographics of that upscale area. Currently a very popular Greek and Mediterranean concept with a beer and wine license in place. Just minutes from the University, Airport, liberty station, beaches and downtown you can easily capture business from all these nearby areas. They have a large patio area facing the busy street and lots of signage visible as your potential customers are driving by. The kitchen has two complete hood systems; one six feet long and the other 10 feet long both with Ansel fire suppression systems in place. Seller states gross income in the 22-24k per month range and net income of 4-5k per month. Current owner splits time with LA business he is starting. Full time owner operator family could eliminate $6,000 plus in employee labor. 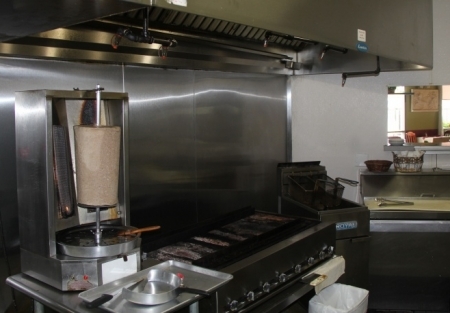 Restaurant is approximately 1,300 sq ft plus the large patio area. Rent is $4,200/month all in including NNN. Current lease term expires June of 2020 with a five year option available. Come visit this restaurant today to see if it is the one you have been looking for.